2. 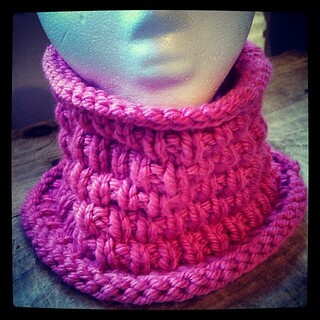 Snow Cowl - I whipped up one of these for a friend's birthday earlier this year. 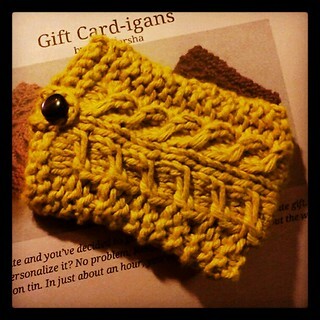 Totally an instant gratification project! 3. Cable Footsies - When it comes to regular socks, I tend to lean towards simple patterns, especially because I may have a pair of socks on the needles for a year or more (I work on them in between many other projects and never tend to put them first). 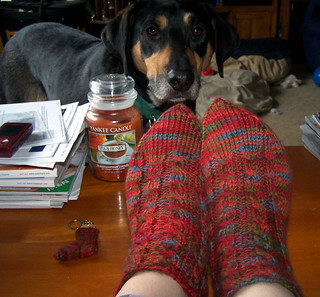 But when it comes to a more quick-knit sock, I love this cute cabled pattern. Using worsted weight yarn, they knit up fairly quick and make the most comfortable pair of house socks, perfect for New England fall-winter weather! 4. 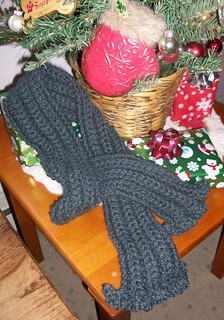 Misti Chunky Ribs & Ruffles Scarf - I have knit several of these already and will knit more. Because it uses chunky yarn, it's a fairly quick knit scarf, perfect for gifting. 5. Ribbons - When it comes to baby items, I love finding un-typical patterns and Susan B. Anderson's "Itty-Bitty Hats" book is great for those special hats. I had so much fun making this one for a favorite little girl, especially when it came time to pick out the ribbons. 6. 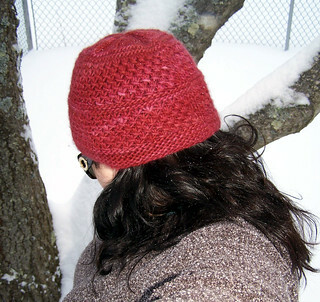 The Amanda Hat - A functional, yet un-boring winter hat. Knit it up in super soft malabrigo and your friends will be happy to wear it all winter long. 7. 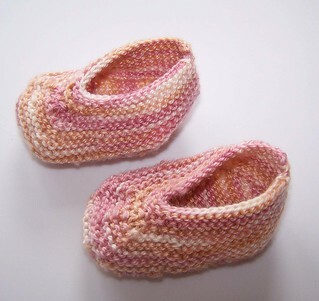 Magic Slippers - It's been awhile since I've knit a pair, but these cute envelope-like baby slippers are a great use for sock yarn leftovers. 8. 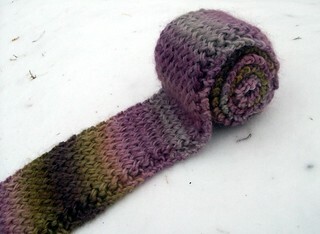 Cross-Stitch Scarf - This is another scarf I've knit and gifted several times already. I love the dense woven-like fabric created by the simple pattern. 9. Gift Card-igans - Because sometimes a gift card truly is the perfect gift... and these little numbers really dress 'em up! After the recipient has opened her gift card, she can use this pretty little pouch as a business card holder or even as a small wallet. Plus, it's another great left-over yarn pile buster! 10. 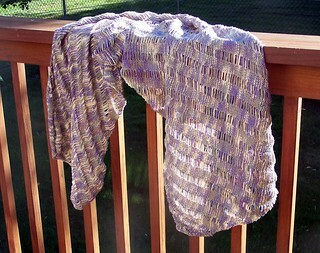 Clapotis - I've only knit it once thus far, and that was 6 years ago. But... I have some yarn stashed that is destined to be another (and another, and another). I took mine on our Alaska cruise last summer and it made a perfect scrunchy neck warmer to have on hand. wow - a lot of new-to-me suggestions! 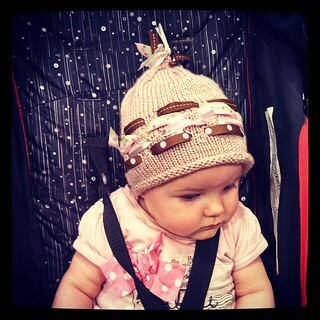 I really like that Amanda hat (and think I've got some Malabrigo that would work). thanks for sharing! Clapotis was one of my first knits. I would like to make another one day. And I love that gift cardigan! What a great idea. I always admire your knit items. 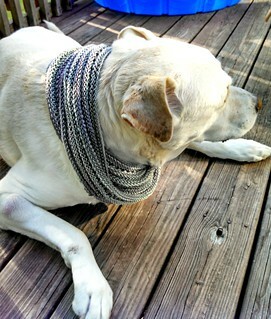 And Zeus looks great in his infinity scarf! Interestingly, I haven't knitted many of those patterns. I may have to add some to my queue. And yeah, Zeus is an awesome model! I've made, and gifted, the Amanda Hat a few times too. I should make one for me! I have to say that the Gift Card-igan is really cute and clever! I love that idea!